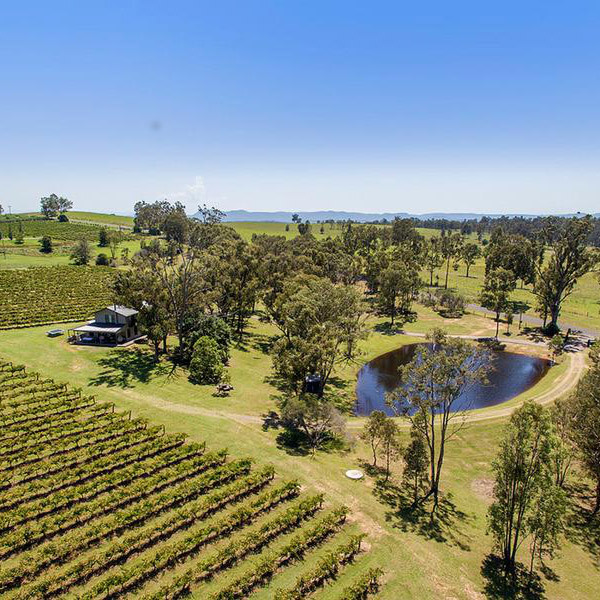 28 glorious acres of private vineyard with boutique accomodation on site. Follow us on Instagram for the latest news and deals. 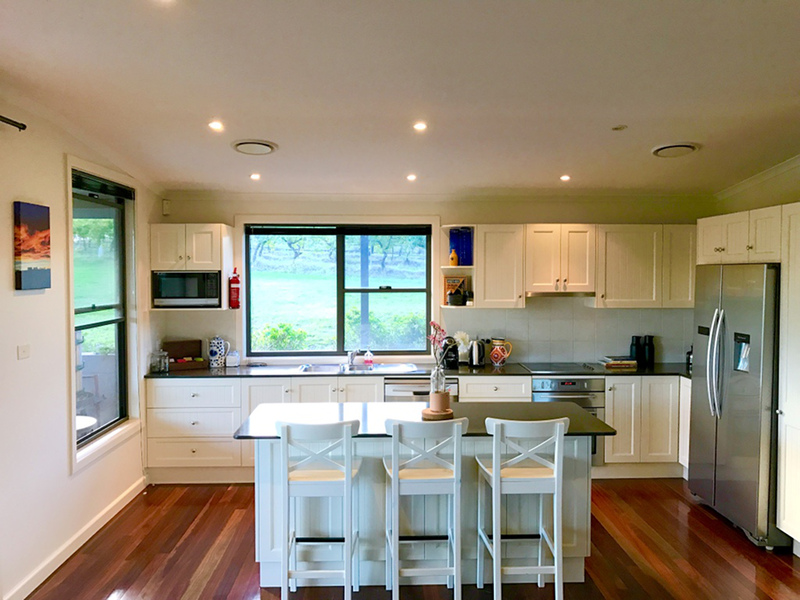 Picture yourself waking up to the sounds of birds chirping, walking out to the deck with a freshly brewed cup of coffee to find kangaroos visiting the dam, grape vines all around you and the sun glinting off the magnificent Brokenback Ranges! 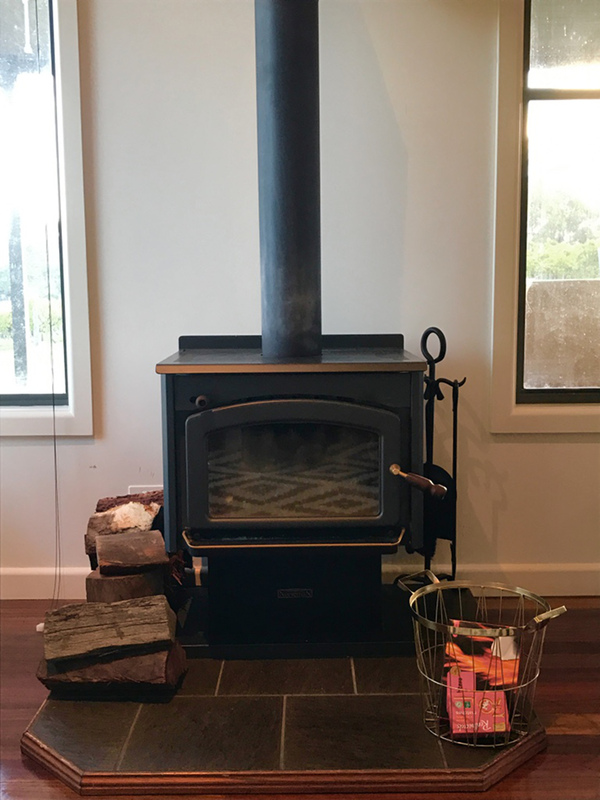 In the evening relax in the cozy living room around the fire-place overlooking the Brokenback Ranges, share your Hunter Valley wares, play some Cards Against Humanity then retreat to the privacy of your own space. 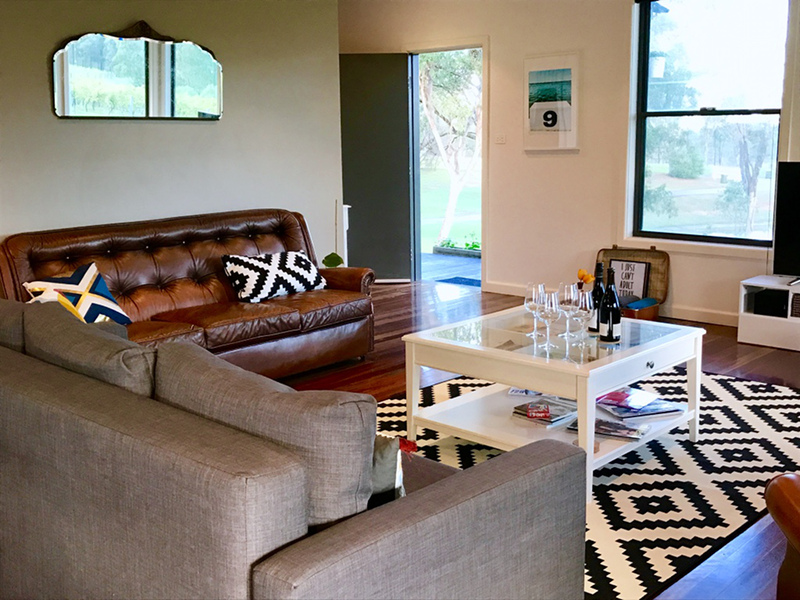 Set in Pokolbin in the heart of the Hunter Valley amidst 28 acres of Traminer and Cabernet vines and within a 10-minute drive to award winning wineries and restaurants, Fernweh Cottage stands on the grounds of Karma Estate - our private vineyard. 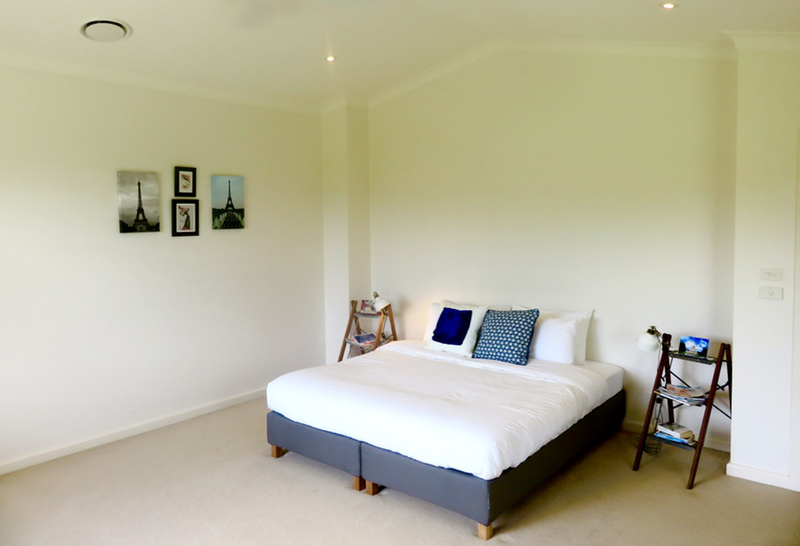 Our boutique accommodation is equipped with 4 king bedrooms, ducted air-conditioning, a gourmet kitchen, comfy leather lounges, a slow combustion wood-fire, 55” smart TV with Stan, Google Home, Spotify, coffee machine, fresh linen and indoor as well as outdoor dining spaces for 8. 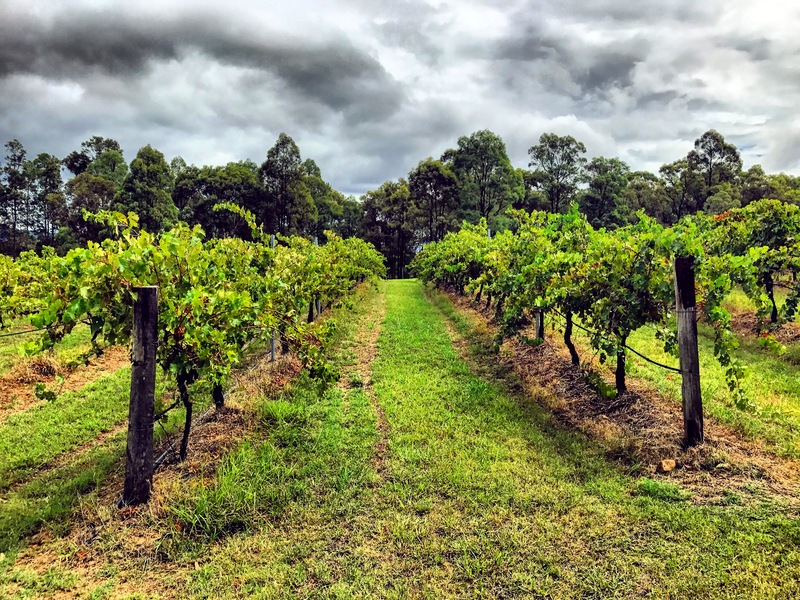 You'll find it easy to enjoy a taste of the vineyard life in Hunter Valley wine country. Satellite enabled Internet connectivity – your Instagram moments are safe! 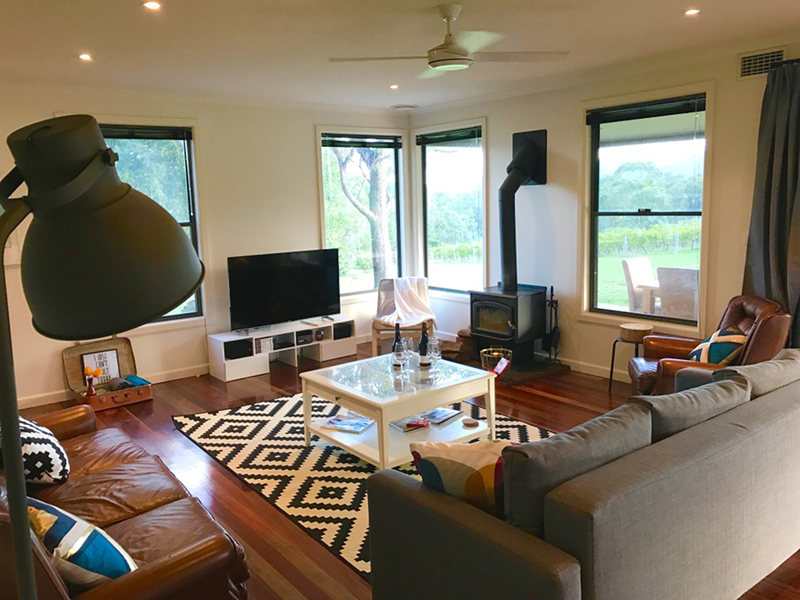 Suitable for romantic Hunter Valley getaways, family gatherings, girls weekends and wedding accommodation for groups of up to 8. Exceptional hosts and a beautiful house! 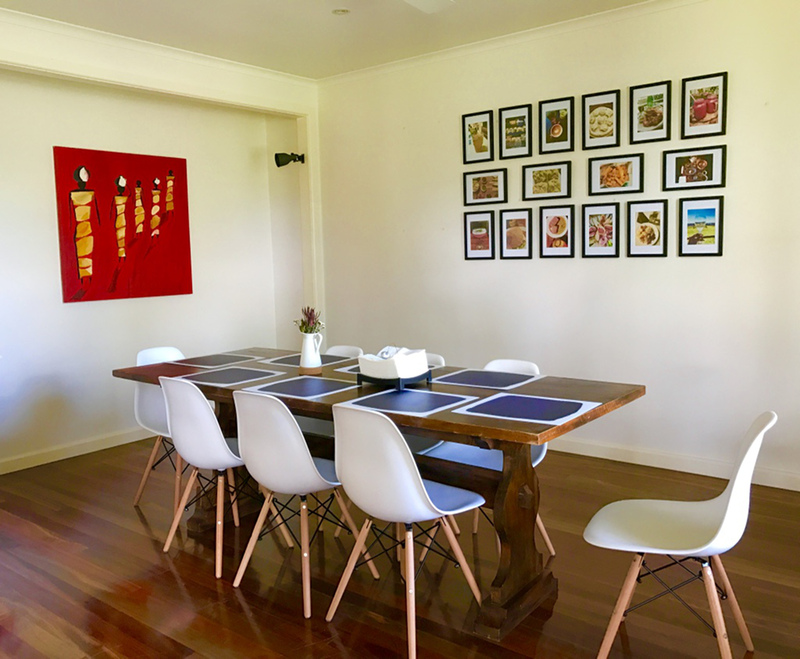 !The peaceful surrounds, great outdoor area and views of the area. House had everything we needed and more! Very comfortable beds. Fernweh Cottage is outstanding!! 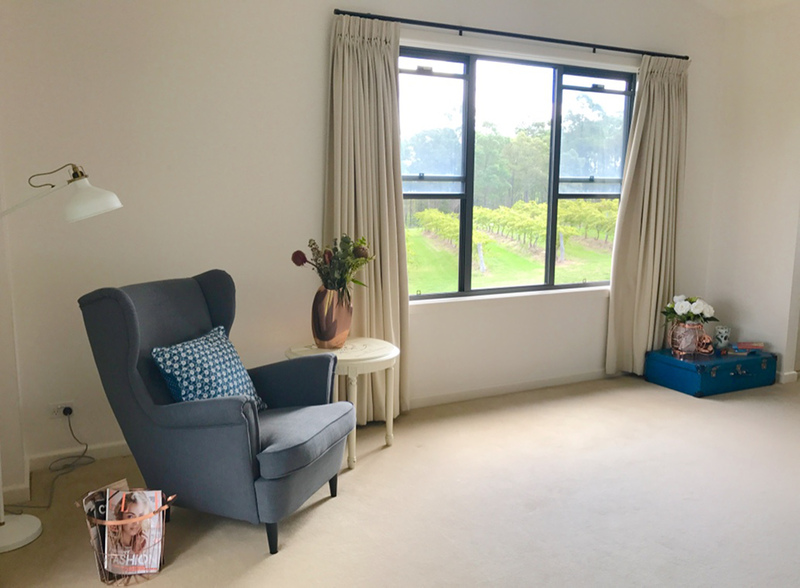 We all thoroughly enjoyed every aspect of Fernweh Cottage.We must say enjoying a glass of wine on the verandah while watching the sunset over the vineyard was one of the many wonderful highlights. Thank you Paru and Loki for your thoughtful hospitality. We’ll definitely be back! Beautiful house that was big enough to house 8 people comfortably for a girls weekend away! Overlooking the vineyards was a beautiful way to wake up each morning. 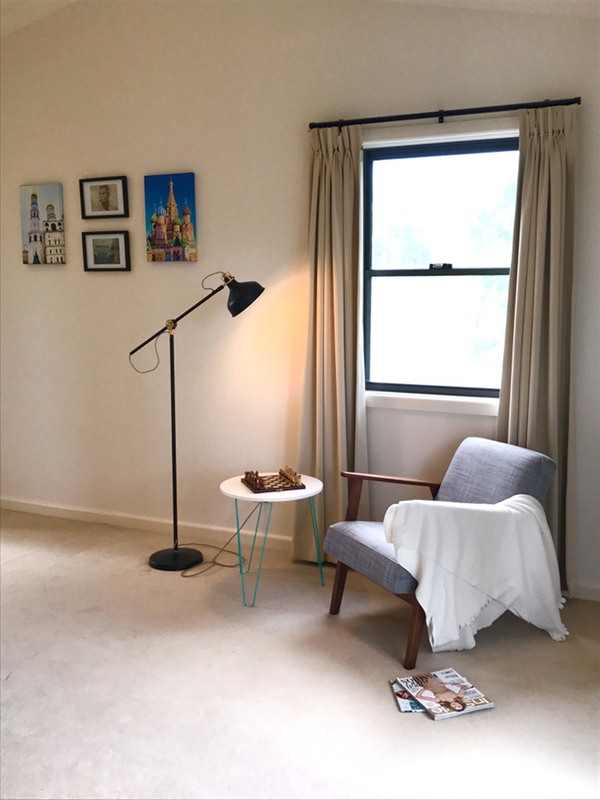 美好且難忘的住宿經驗！ Good and unforgettable accommodation experience. Meet the people behind Karma Estate. Our Chief Winemaker, Lance is also the GM of Capercaille Wines and the sole owner of The Lance Factor(TM). Drop us a message with your details including your preferred check-in date and and we'll get in touch as soon as possible.